The Society’s Annual General Meeting (AGM) took place at Louise House on 20 October with approximately 50 members present. 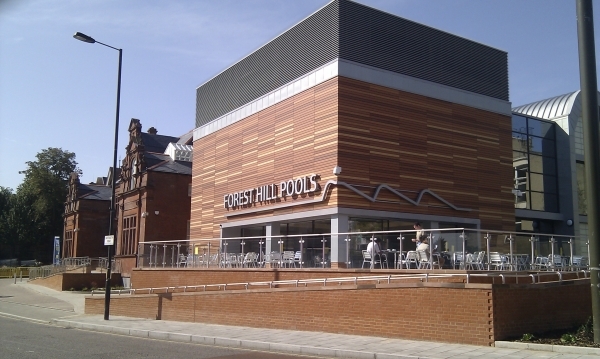 The Society’s chairman, Michael Abrahams, began by saying that much of the previous year had been dominated by Forest Hill Library. First, a campaign to persuade Lewisham Council to continue to run the library. Then, when it was clear this would not be the case, working with the local community to make sure the library had the best possible future. A bid to manage the library was made by a consortium comprising V22, the Forest Hill Society and Forest Hill Traders’ Association. Tara Cranswick, CEO of V22, then described the many improvements made to the landscape to the front of the library and Louise House, and work which was now underway in the basement of Louise House. Going forward, facilities in the library and Louise House would be managed as one to maximise the benefits from each. Simon Higgs, the library manager, then provided an update to the meeting on the plans for the community library, which re-opened successfully on 24 October. There has been a fantastic response from the community: a Crowdfunder target was reached in just two weeks, all the studio space in the library has now been let, over 100 volunteers have signed up but more people were still needed to make sure the library would remain open seven days a week. Other achievements of the past year were highlighted, and included a very visible aspect of the Society’s work — its town centre's beautification efforts spearheaded by Quetta Kaye. Planting at Forest Hill station and vicinity were judged 'Outstanding' by the Royal Horticultural Society, for the fourth year running, and of special note in this respect were the newly installed 'Tyre Towers' in Perry Vale. To celebrate the 10th Anniversary of the Forest Hill Society, Shakespeare — in the guise of the Teatro Vivo theatre group — came to Forest Hill in April, and entertained us with scenes from the Bard’s plays and created an Ode to Forest Hill. Perry Vale - The Forest Hill Society’s proposal to make the north end of Perry Vale one way and to re-generate the area to the east of the station received lots of support at the AGM including from local Councillor John Paschoud. Rail Services - Concern was expressed regarding Southern Rail’s proposed 2018 timetable, which was the subject of a consultation. The consultation included proposals to remove peak hour services and direct trains going to East Croydon. Following the AGM, the Society has had talks with Southern Railway senior management and has formally responded to the consultation. Street Lighting - Concern was also expressed about Lewisham Council’s plans to reduce overnight street lighting in residential areas, which will likely increase the risk of crime and road accidents. The Forest Hill Society will work jointly with the Sydenham Society when raising these concerns with the Council. 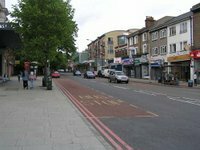 A Cycle and Walking Strategy - The AGM was briefed on the initial stages of a strategy, which is being developed jointly with the Sydenham Society and will cover Forest Hill, Sydenham and Perry Vale wards. The strategy is to be discussed with local Councillors and then will be subject to wider consultation and a design workshop involving the public. Michael Abrahams was re-elected as Chairman for 2016-17, along with Alisa Owens as Treasurer, John Firmin as Secretary and Belinda Evans as Membership Secretary. Elected to the Executive Committee, in addition to the above officers, were: Sheila Carson, Brendan Cuddihy, Alistair Dey, Penelope Jarrett, Quetta Kaye, Katrin Klinger, David McKenzie, Andrew Orford, Rob Owen, Hilary Satchwell, Alona Sheridan, Jake Twyford, Katherine Willett and John Wysocki.